A personalized patio can make your home that much more artistic and creative. 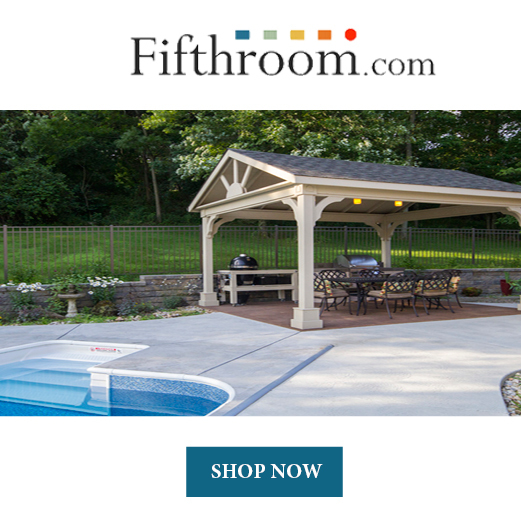 Perhaps you have had the experience of building your own patio. Or maybe the patio itself you did not build, but you have had the experience of building your own patio furniture. Or maybe you haven't done anything with your patio yet, and you are looking to create something that will make your patio unique. If so, I hope you find this article helpful. Today I will be going over how to make your own outdoor cushion covers. Outdoor cushion covers can add a splash of color to your patio. So read on! Your patio will soon resemble a little bit of your taste. There are so many outdoor cushion cover ideas. From slipcovers for outdoor furniture and no sew cushion covers to the French mattress style cushion covers, the ideas and styles are endless. Remember that you are personalizing your patio, so choose the style that you feel would make your patio look nice. Not sure if sewing is your thing? I've included a no sew outdoor cushion cover pattern. Now let's get started. Here is a link on how to make French Mattress Style Cushion Covers. If you are a visual person like myself, it may help to watch the video. You can also find the written instructions by clicking here. Measure the furniture that you will be putting the cushion on. The fabric should be the same size of the seat plus one inch. That way you'll have enough fabric to sew. Cut two larger panels of fabric, and a side panel. Use fabric scissors to round the edge of your fabric corners on your two larger panels. To connect your long side panel strip and make one big loop around the edge of your cushion, fold the panel in half (with the top side of it facing each other), and sew 1/2″ from the edge to connect the ends. Line up the edges of your side panel loop of fabric with the edge of the top panel, and pin the edge in place. Pin the bottom panel to the side panel in the same manner as the top panel, and make notches on all the corners. Before you sew all the way around the bottom panel, you’ll want to add a zipper at one of the ends so you can insert your cushion filling. Place the zipper face down onto the right side of the fabric at one of the ends of your bottom panel. Pin the zipper in place so that the zipper will be installed 1/2″ from the edge. Use a zipper foot on your machine to sew the right side of the zipper in place. Remove the pins as you sew. Repeat the process of pinning and sewing the other side of the zipper so that you have a functional zipper installed. Now you can sew all the way around the rest of the bottom panel (starting at the end of the zipper and stopping when you reach the beginning of it). You will want to leave the zipper slightly open so that you do not sew it shut. Flip your cover right side out. Now it is time to fill it with the filling. Cut a piece of foam to fit the size of your outdoor cushion cover. Slip the foam into the cover, and place it on your furniture. Is sewing just not your cup of tea? Don't worry. There are so many other homemade cover options, including those that do not even need sewn. Here are some great outdoor cushion covers to make that don't need sewn. Begin by cutting a piece of foam to fit the size of your bench. Remember that it is better to go extra big and cut it than it is to go too small. Wrap the fabric around the foam as though you were wrapping a present. Use large 2-in safety pins to pin the edges of the fabric together. Pin the pins in every few inches. The pins will be doing the same thing that seams would do, which is hold the fabric in places. Neatly wrap the corners and place pins into the fabric. Place your no-sew cushion cover onto your bench. 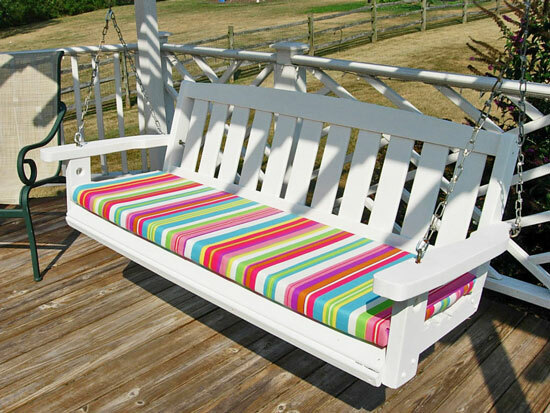 You can add ties if you want to, or you can just make sure the cushion fits snugly into the bench. Follow the same steps as the No Sew Outdoor Bench Cushion Cover. Cut the foam to the correct size, and begin wrapping the fabric around it like a gift. Instead of using safety pins, you are going to use hot glue. So once you have folded your fabric in such a way that it hugs your cushion, carefully lift each fabric flap and place hot glue on it. Then lower down the flap and hold it in place while the glue dries. Continue doing this all the way around your cushion. If you are pretty sure you know where the fabric is going to fold, you can skip wrapping the fabric until after you place the glue on it. But it is important that the edge of the fabric is glued down, so you'd have to be really careful. If you mess up, you can always try to lift the flap and sneak in a little glue under there. You can't really mess up making no sew cushion covers. After the glue dries you can place your cushion cover onto your outdoor patio furniture. 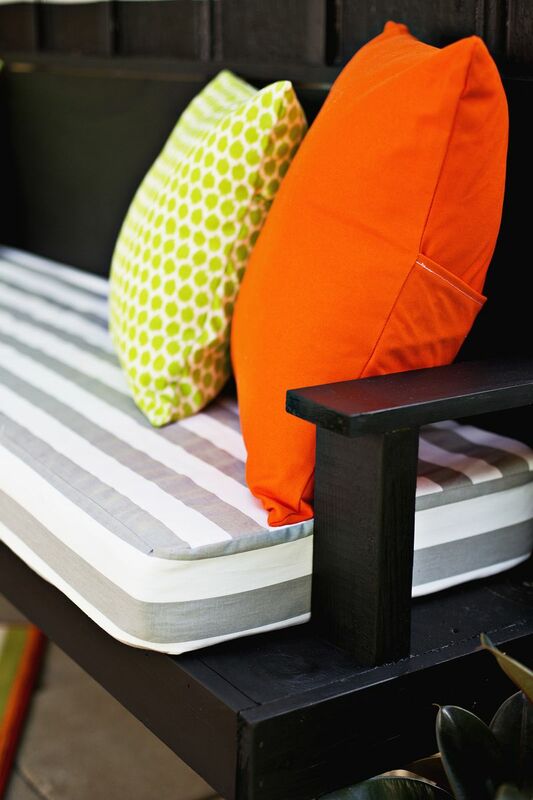 If you are looking for an easy to make outdoor cushion cover, consider using Velcro. This video will instruct you on how to do it. 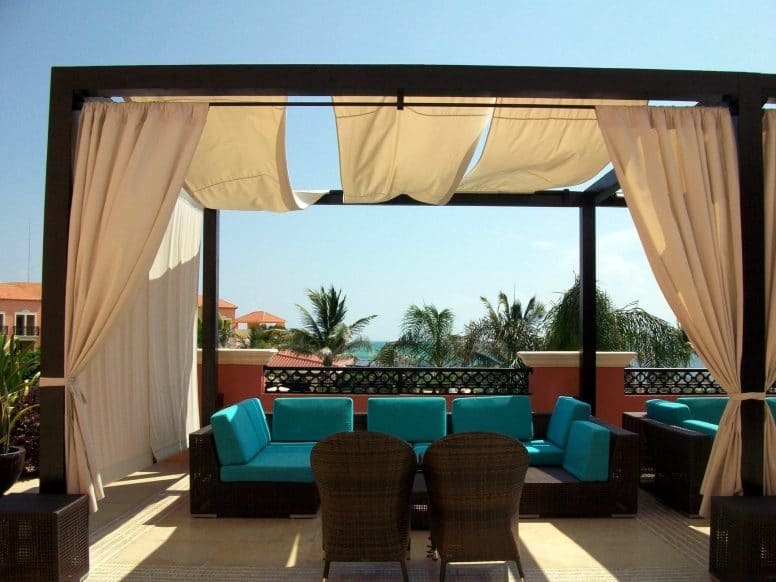 Sunbrella - Sunbrella fabric is fine being placed in the direct sun, it is 100% waterproof, and it is chlorine safe. Because it is chlorine safe, you can place it near a pool without worrying about it getting ruined. Olefin - Olefin is a synthetic fiber. 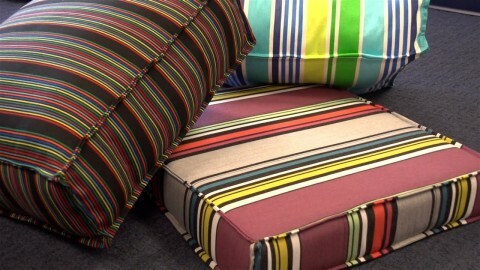 Besides sunbrella, olefin is one of the most durable fabrics you can buy for your outdoor cushions. 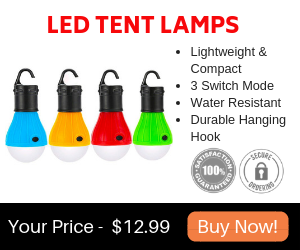 It is resistant to water, sun, mold, and mildew. It is also easy to clean. Canvas - Canvas covers are a good choice if you want to decorate your cushions, as this material is easy to dye. However, this materiel is not naturally water or mold/mildew resistant. 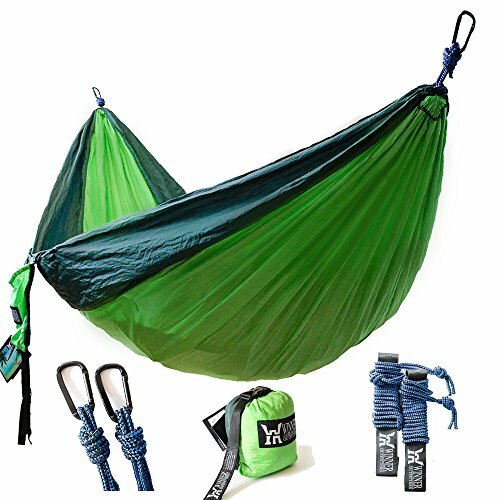 Duck Cloth - Duck cloth features a tighter weave and is very sturdy. Just like the canvas, this is not naturally water or mold/mildew resistant. However, you may be able to treat it. Acrylic or Vinyl - These are the cheapest cover fabric options on the market today. Vinyl is durable and easy to clean, but can become hot to the touch in the Summer. Acrylic is more breathable than vinyl fabric, but it can easily rip. Patio furniture is just not the same without pillows. Because the easiest way to make pillows is to skip the sewing machine, I've included the instructions to recover a pillow by making a no sew pillowcase. Enjoy! Measure out the size you will need. Iron it with a iron. Fold the fabric in half (right sides facing each other). Allow the one side to have an extra 4 inches of material. This will be the pillow's opening flap. Roll out the sewing adhesive tape along each edge, stopping around the 20-inch mark. Fuse the side seams together with an iron. Roll out and cut a thinner piece of sewing tape to finish the top edge of the pillowcase. Fold over the fabric about a half inch, then fuse the pieces together with an iron. Finish ironing all the flaps. Turn the pillow right side out. Now it is time to add closure tabs (similar to Velcro). Remove the sticky side off of each one and position the tab where you want it. Keep them spaced out. This will be an easy way to remove the pillow from the pillow case if needed. If you want to get creative (that is the purpose of this article), you may want to add some pom-poms to your pillow. How do you do that? First, squeeze out a thin line of fabric glue along the perimeter of the pillow. Cut pom-pom trim to size and set it onto the glue. Hold it in place until the glue begins to dry. Repeat until you have another square or two of pom-poms. Place the old pillow inside this new pillow cover. The patio is a place of relaxation and enjoyment during the Summer days. Because you will probably be spending so much time there, why not make it extra special? Today, I went over all the different ways to make outdoor cushion covers. Even if you already have cushion covers, it can be fun to replace them once in a while with new ones. The nice thing about homemade cushion covers is that they are cheap. If sewing isn't your thing, don't worry. I went over some ways to make no-sew cushion covers by using either safety pins, hot glue, or Velcro instead of thread. Whether you sew your cushion covers or not, you will find that homemade outdoor cushion covers are easy to make. Finally, I went over how to make a no-sew pillow. 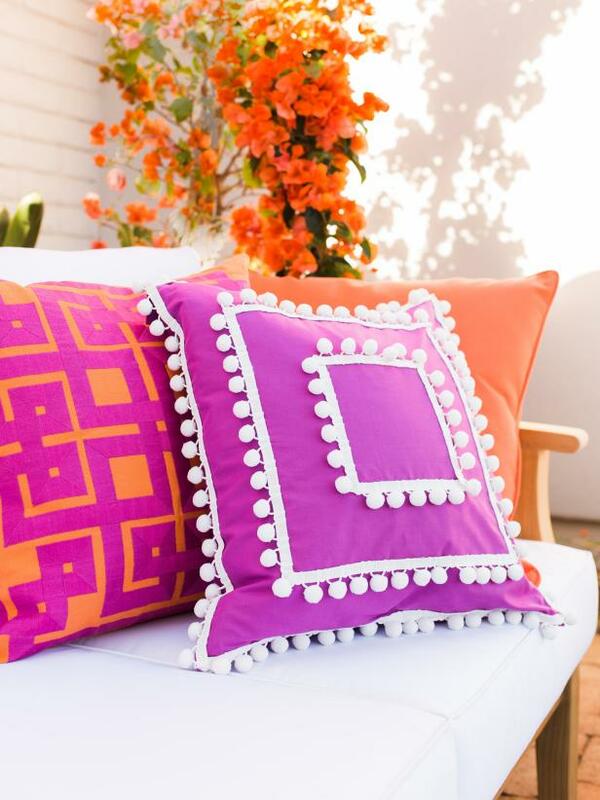 Pillows are a great way to add a creative and fun look to your patio. They are also very easy to make. I hope that you will find these ideas helpful. Your patio will become one of the best places of your home. So go get sewing (or otherwise make the no-sew covers)! I am one of our content writers for Everything Backyard. I am a mother and business owner of Big Horn Mountain Alpacas in Wyoming. I love farm life, cutting my own firewood in the mountains, and participating in local trail run races.